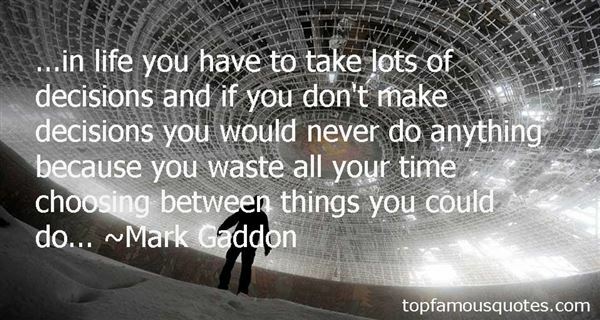 Reading and share top 1 Mark Gaddon famous quotes and sayings. Browse top 1 most favorite famous quotes and sayings by Mark Gaddon. Meanwhile I married and I adopted three kids who were all from one family and then later I was divorced."